Mineral Mission – mineral samples include lepidolite, rhodonite, tourmaline, limonite, epidote and amazonite. Crystal Experiments – mineral samples include blue calcite, Iceland spar calcite, magnetite, halite rock salt, hematite, jasper and sulfur. Crystal Geometry – mineral samples include muscovite, fluorite, calcite, citrine, pyrite and agate geode. Igneous Investigation – igneous rock samples include granite, snowflake obsidian, andesite, scoria, volcanic breccia and pegmatite. Metamorphic Mystery – metamorphic rock samples include red slate, tourmaline schist, pink quartzite, white marble, granitoid gneiss and amphibolite. Sedimentary Sleuthing – sedimentary rock samples include lignite coal, sedimentary breccia, conglomerate, fossiliferous limestone, sandstone and shale. Each kit contains rocks or minerals samples, a hand magnifier / hand lens so you can see the details of your samples close up, and a printable mini-CD with 30 page, full color eBook that includes rock and mineral information, sample identification activities, puzzles, coloring pages, experiments, an adventure story writing exercise for your geology detective, and activities including making a personal geologist’s field notebook and your very own rock collection box! 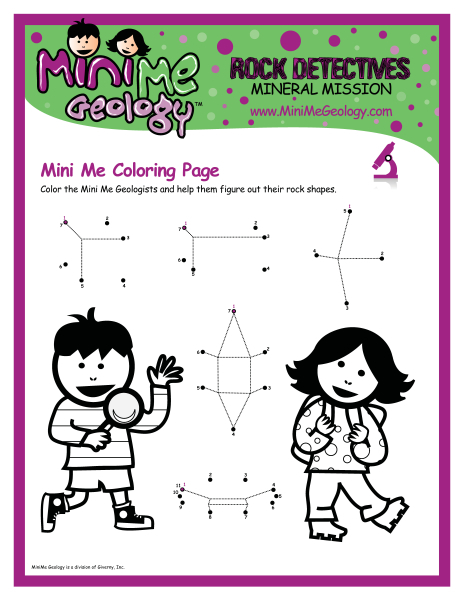 Click here to download samples of each of our Rock Detectives eBooks to see the fun your kids will have with you while exploring the rocks and minerals of our Earth. 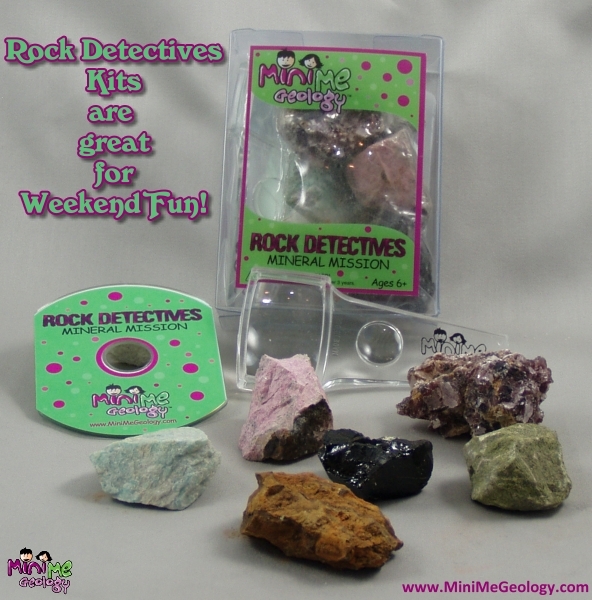 Shop today for these fun Rock Detectives kits.